Lara Croft is the fiercely independent daughter of an eccentric adventurer who vanished when she was scarcely a teen. Now a young woman of 21 without any real focus or purpose, Lara navigates the chaotic streets of trendy East London as a bike courier, barely making the rent, and takes college courses, rarely making it to class. Determined to forge her own path, she refuses to take the reins of her father's global empire just as staunchly as she rejects the idea that he's truly gone. Advised to face the facts and move forward after seven years without him, even Lara can't understand what drives her to finally solve the puzzle of his mysterious death.Going explicitly against his final wishes, she leaves everything she knows behind in search of her dad's last-known destination: a fabled tomb on a mythical island that might be somewhere off the coast of Japan. But her mission will not be an easy one; just reaching the island will be extremely treacherous. Suddenly, the stakes couldn't be higher for Lara, who—against the odds and armed with only her sharp mind, blind faith and inherently stubborn spirit—must learn to push herself beyond her limits as she journeys into the unknown. If she survives this perilous adventure, it could be the making of her, earning her the name tomb raider. "Being a longtime fan of the game, it's important to me to honor the Lara Croft legacy and capture that spirit. It's great to know that there's such a passionate global fan base for Lara and her world, and our commitment to that will be evident in our movie. 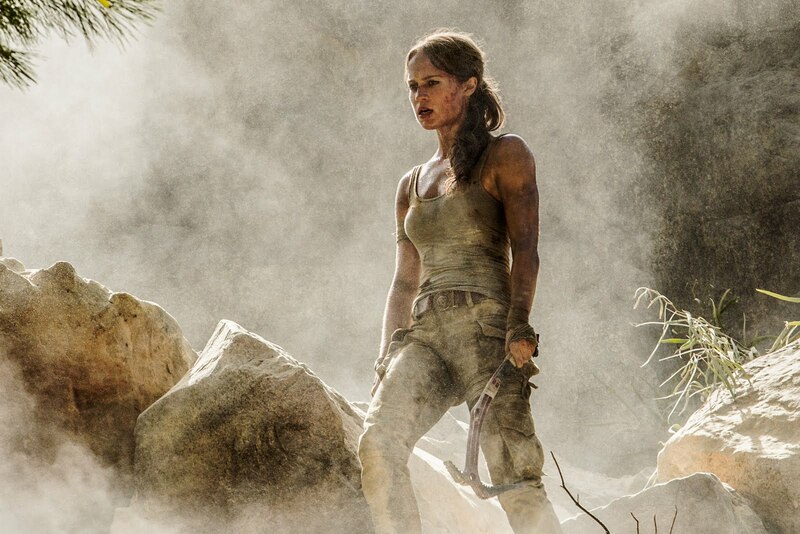 What's different about this "Tomb Raider" movie is that it's an origin story for the big screen, focusing not only on Lara's strength and physical accomplishments but her humanity. We see Lara as a young woman, smart and capable but largely unfocused, and follow her on a dangerous journey that will push her to her limits in every sense, and allow her to hone the skills she needs to ultimately become who she was meant to be. As Lara Croft, Alicia Vikander is brilliant. She brings great depth to a complex role that is both physically and emotionally demanding. We hope this film will delight fans around the world and add another intriguing chapter to the Tomb Raider story." "I'm excited to be a part of this new Tomb Raider story, which introduces the origins of Lara Croft and delves into the humanity of this character. Alicia Vikander is a gifted actress that brings so much to this role. Our director, Roar Uthaug is extremely passionate and has an eye for scale as well as gritty realism. It's been a wonderful experience shooting in various locations around South Africa and we hope that using these actual locations will give a grounded sense of reality. It's our goal to make a film that will not only delight fans but enthrall a world-wide audience."